Happy Thanksgiving From Hen & Chicks Studio! Stop by this Friday as we kick off our Black Friday + Red Bag Club Special! 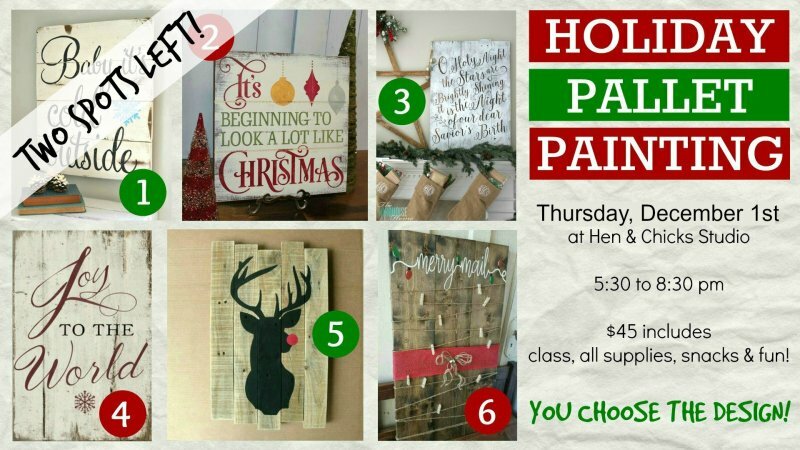 Our first two Holiday Pallet Painting classes filled up fast & our third is almost full -- only TWO SPOTS LEFT! Save your spot by clicking right here before it's too late. 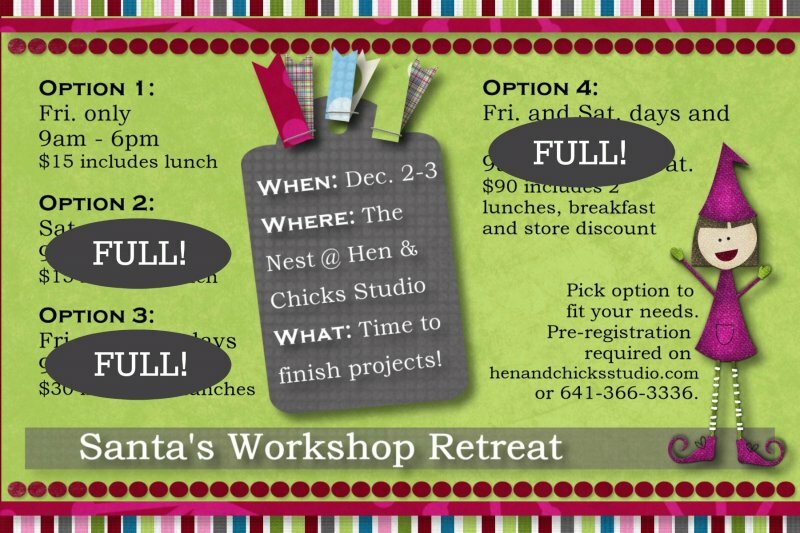 Get a jump start on your holiday sewing with our Santa's Workshop Retreat in The Nest. Just a few spots left for Option 1 - Friday only (9am-6pm). Save your spot! Stop by Conrad December 3rd for our Christmas in Conrad Celebration. Click here for the full list of events -- plus, we'll be open from 10am to 6 pm with a store special you won't want to miss! This class is perfect for friends & family home over the holidays. Especially those kids on break from school! Save your seat by clicking right here.